How to Make Easy Easter Treats , you can save £15 on your first shop when you spend £75 or more, or with our Ocado promo code, get £20 off your first order with a minimum £80 spend. Ok, so this isn’t as brittle as, say, peanut brittle, but it does make for an alternative way to enjoy your confectionary this Easter, or even a great way of using up any leftover Easter eggs. If you have any left over that is. Melt 600g of milk chocolate using the method mentioned above. Roughly smash up 2 bags of mini eggs, then stir in the pieces along with a handful of mini marshmallows. Pour the chocolate mix into a lined baking tray, making sure the bottom is covered, then leave to set in the fridge. Once hardened, break up into pieces, large or small, and enjoy! For those of you who have a slightly more refined palate, you might want to investigate our Chocolate Trading Company discount codes. Here you can save 10% on your order for some of the finest quality chocolate available, be it dark, milk or white. 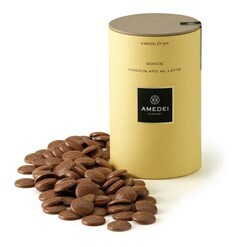 Just check out our Chocolate Trading Company promotional codes page and click on the link to obtain your discount. Like we said before, just adding chocolate to your favourite recipes can give them that extra Easter spin – Chocolate Hot Cross Buns anyone? – so once you’ve found your perfect Easter treat, make sure you save with our Sainsburys discount codes, Ocado discount codes and Chocolate Trading Company discount codes for the very best Easter value.